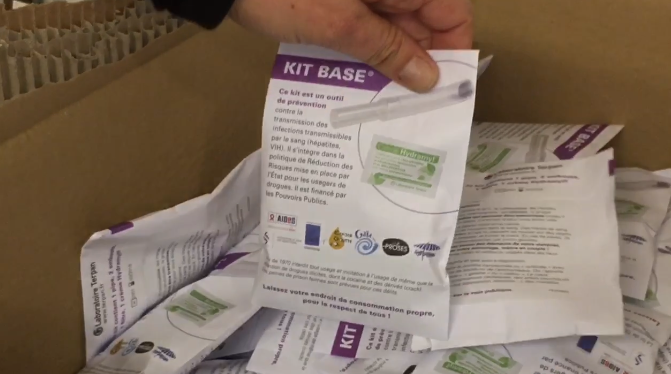 As Britain's first taxpayer-funded heroin 'shooting gallery' is preparing to open, LBC got exclusive access to Europe's newest "safe" drug-injecting facility in Paris. Doctors at Europe's newest heroin ‘shooting gallery’ in Paris claim that a similar facility in Glasgow - the UK's first - will save lives. 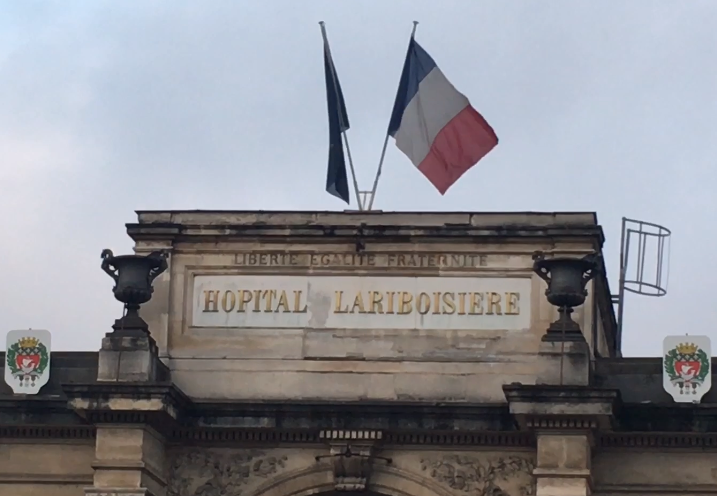 LBC reporter Connor Gillies travelled to Paris to see the initial success of the 'Gaia' drug consumption facility, which opened late last year. We were given exclusive access as the first news organisation to report from inside the clinic when it was open to users. The so-called ‘fix rooms’ allow users to take illegal hard drugs without fear of arrest and it’s claimed the system can cut the number of deaths from drug overdose. The idea has been floated in the UK for many years but it wasn't until recently that council and health officials in Glasgow agreed the proposals in principle. A full business case for a consumption room will now be drawn up, and formally considered when the board meets next month. The most recent annual figures, for 2015, show 706 people died as a result of drugs in Scotland – that’s more than doubled in a decade. It is estimated at least 500 users inject heroin in public places in Glasgow alone. Experts claim the rooms can be used to persuade addicts to use health services and cut crime by moving users indoors to a safe, controlled environment. Situated opposite a traditional French cafe and behind grey iron gates at the side of a city centre hospital, the entrance to the facility is very subtle. The controversial room is near the busy Gare du Nord railway station where the Eurostar arrives from London, and is located in an area already rife with drugs and petty crime. Users are given a numbered ticket when they arrive and are held in a waiting room that wouldn’t look out of place at any dentist or doctor’s surgery. The atmosphere is friendly, many are chatting and one person even brought their pet dog. When each user’s number flashes up on a screen, they enter the injecting room. They are armed with clean, sealed paraphernalia provided by the 20+ staff on hand to help and supervise. There are a dozen injecting bays in a row, giving some privacy. The place is immaculate, with cleaning products and small medical bins beside each cubicle. Addicts, many of whom are homeless, are then encouraged to make use of the 'resting area' or 'relaxation zone'. I witnessed users sleeping on large beanbags and using crayons to draw pictures. Others were drinking water and talking to the medical staff. The atmosphere was incredibly calm with no trouble, and there’s advice on hand from social workers and housing officers. People in the area are getting used to the clinic. Some, like the owner of a café across the street, haven’t seen any negative impact. The man, who didn’t want to be named, said: "It hasn’t had any effect on my business. "Nothing has changed. I still see the same faces, but things are better. No-one takes drugs in the toilet of the café." But others said they had seen crime in the area get worse. Siron has lived in the neighbourhood for more than 40 years, and claims the facility has changed the area for the worse, bringing more crime and discarded syringes to the streets. He said: "It brings the wrong type of people to the area and they leave syringes everywhere, and children can pick them up. "People don’t want this. It’s not a good idea that young people are encouraged to take drugs and are given drugs, and materials to take drugs." This facility is open seven days a week from 1.30pm to 8.30 pm, and is run by a French addiction charity. According to official figures, the annual running cost is €1.2m (£1.1m). LBC was invited to Paris City Hall to meet Bernard Jomier, deputy mayor in charge of the subject. He told us: "You need a political lead if you want success. Involvement from politicians is essential when you are talking about a drug room situated among flats, kids and schools. "You need leaders to say to our population 'don’t be afraid'. With this new facility we can improve the situation. "Look at what other countries have done. There are many examples all around the world and everywhere, it shows an improvement for the city."